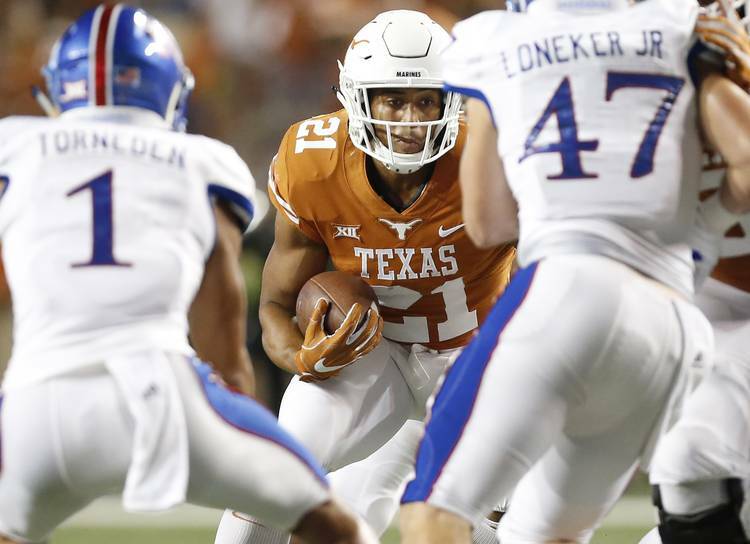 Texas running backs Kyle Porter and Tristan Houston have reportedly put their names into the NCAA transfer database and will look at other options, according to Inside Texas. Porter and Houston are both on track to graduate in May and could leave as graduate transfers. Porter, a junior from Katy, played in only four games this season, thereby protecting his redshirt status. He would have two years of eligibility remaining should he graduate in May. Porter had only one carry for two yards in 2018. He’s appeared in 27 games over the last three seasons and had 130 carries for 468 yards with five touchdowns. Houston, a junior from Galena Park North Shore, played in two games in 2016. He did not play the last two seasons. Already this offseason, running back Toneil Carter has announced his plans to transfer to Sam Houston State.